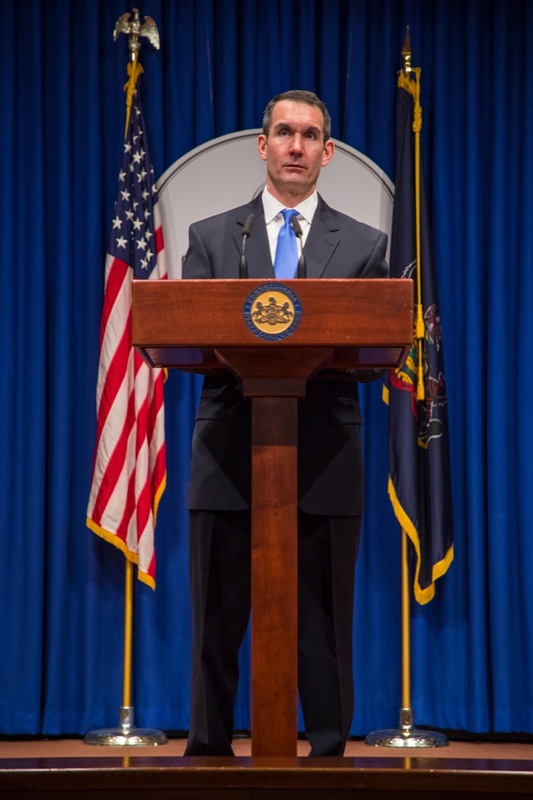 The Pennsylvania Department of Revenue today urged taxpayers and tax professionals to take extra precautions to protect their computer systems and data following recent reports of several tax-related scams. 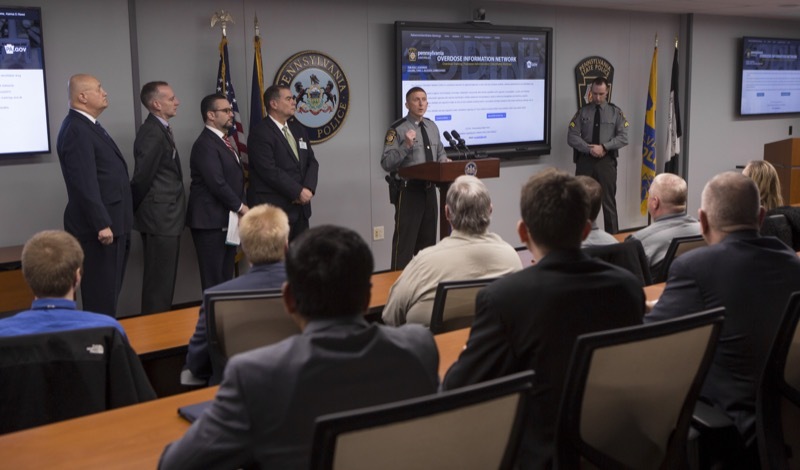 One new scam involves cyber criminals filing falsified tax returns and obtaining fraudulent tax refunds from taxpayers by posing as Internal Revenue Service officials and debt collectors. 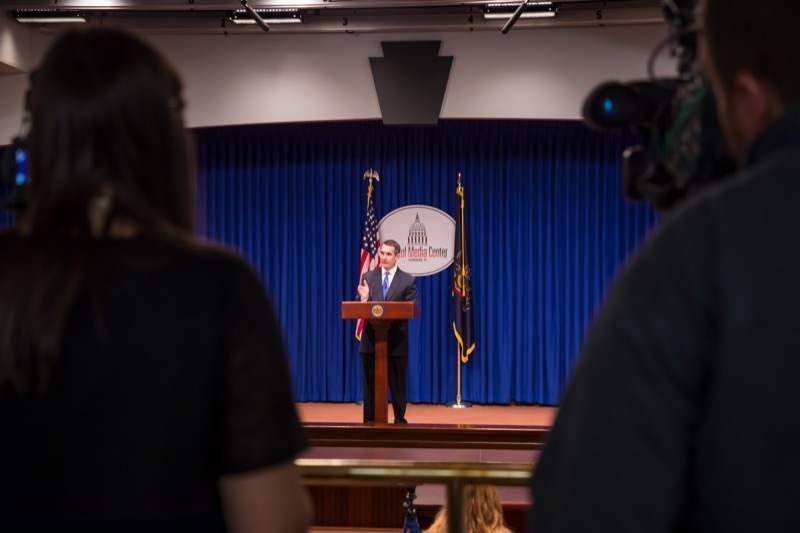 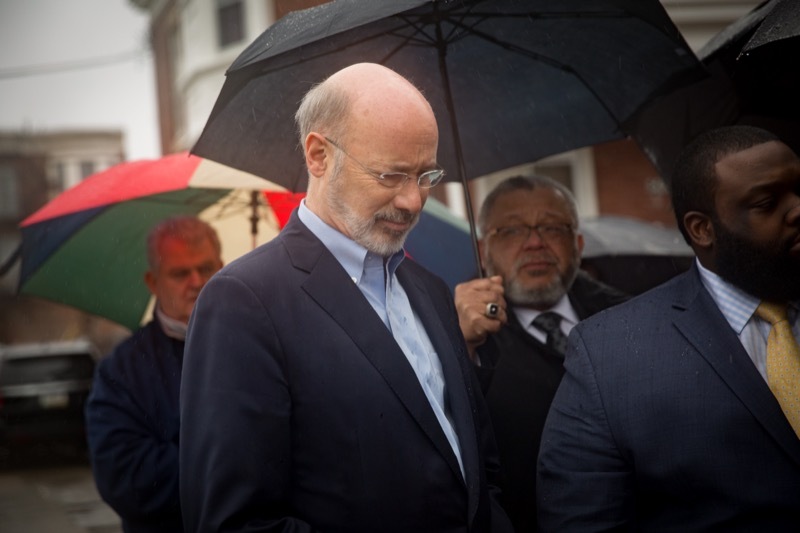 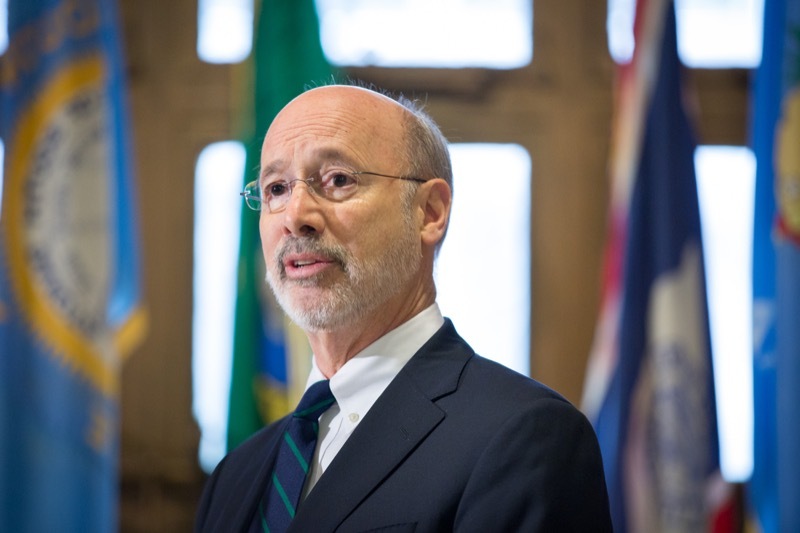 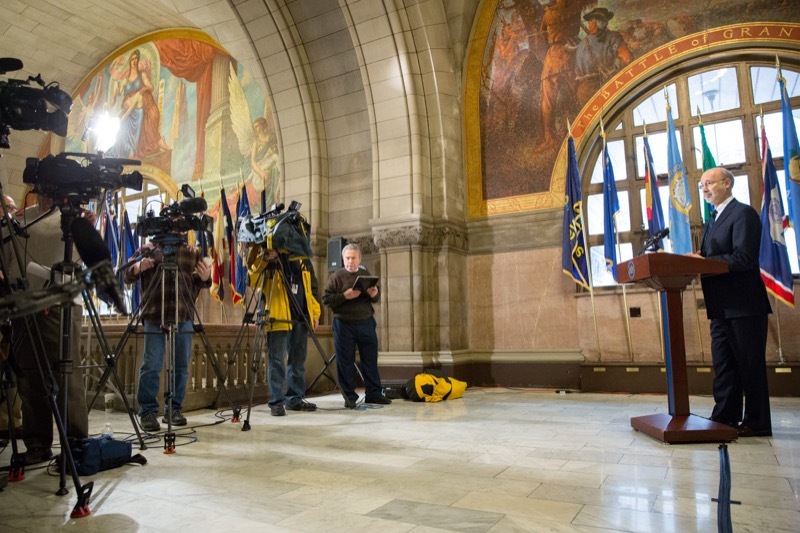 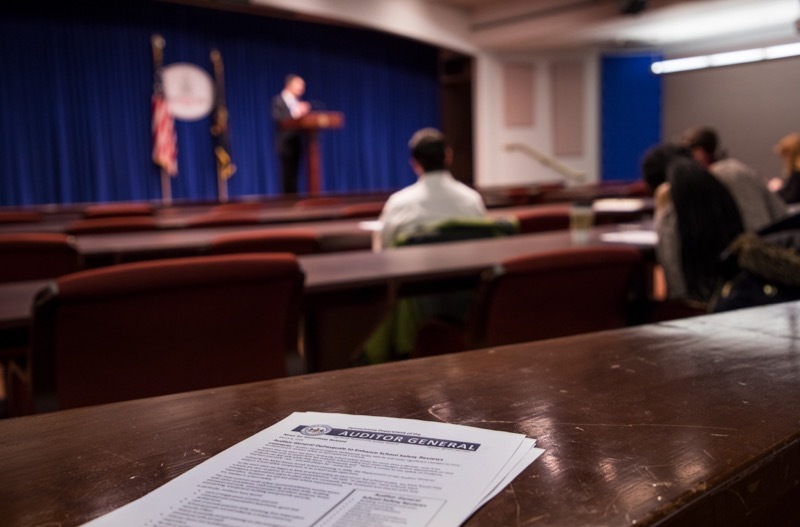 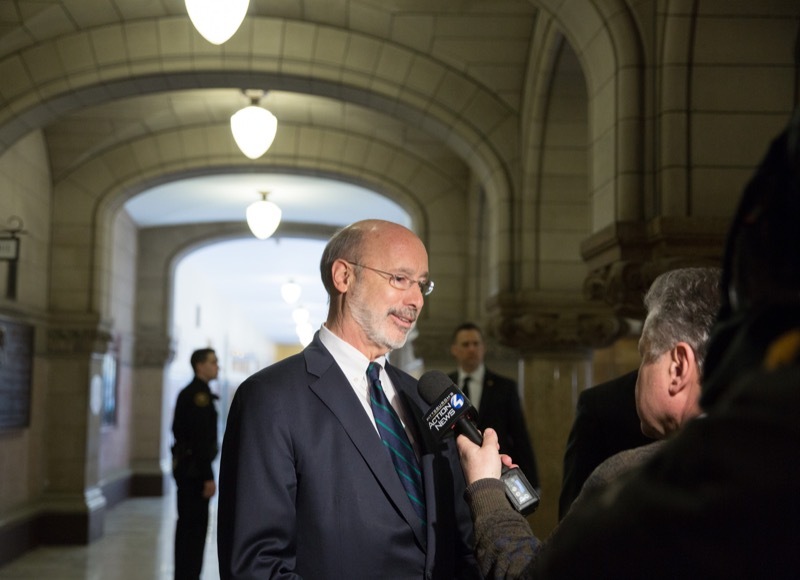 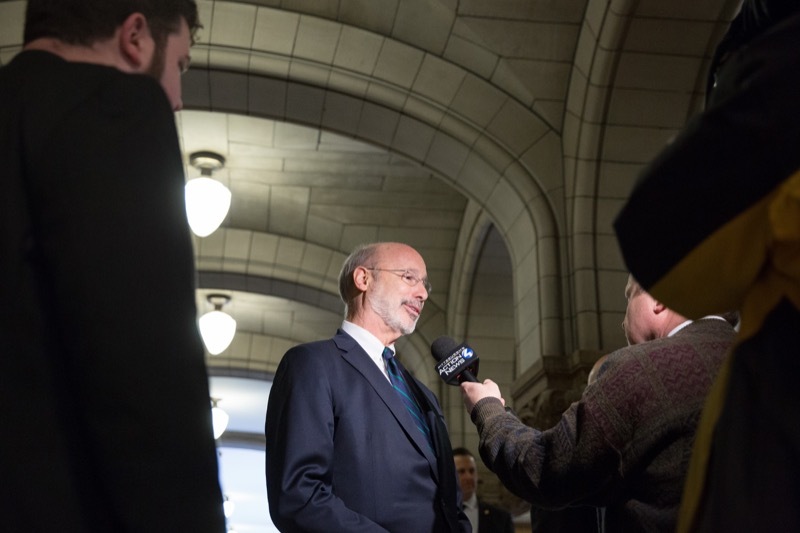 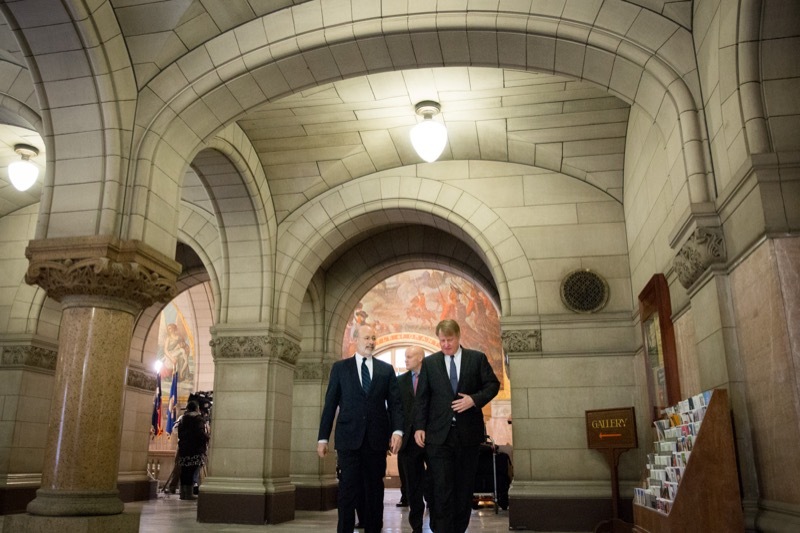 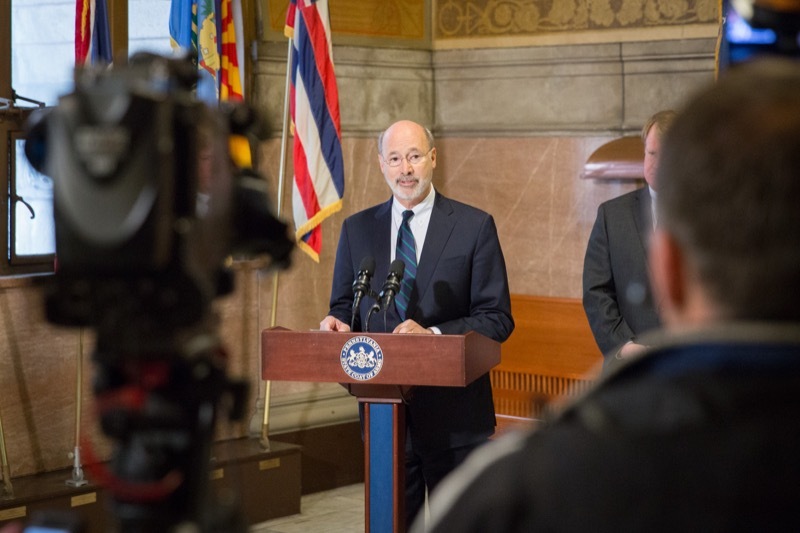 Governor Tom Wolf today introduced his 'Citizens First' ethics reform plan that includes a gift ban for public officials, 'no budget, no pay' legislation, public official expense reform, and steps to curb the influence of special interests in Harrisburg. 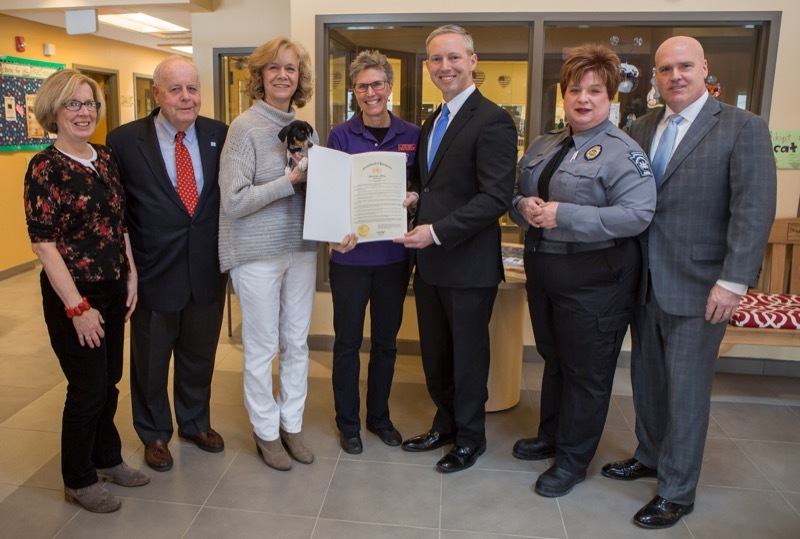 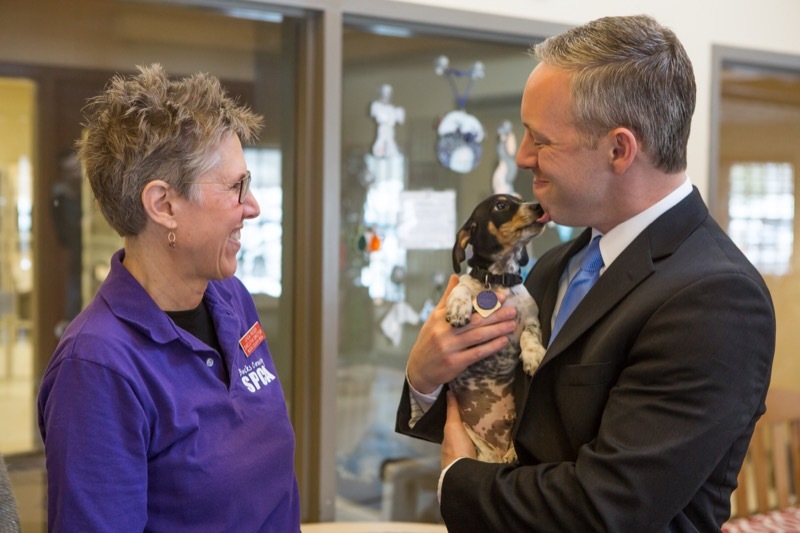 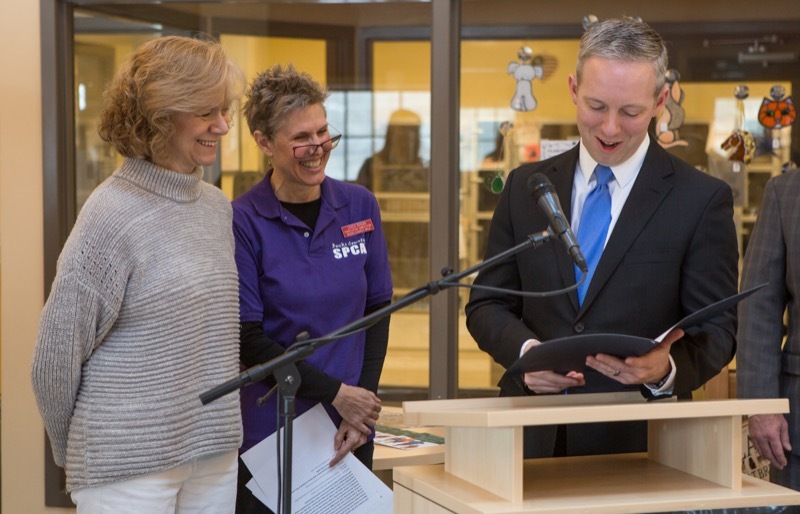 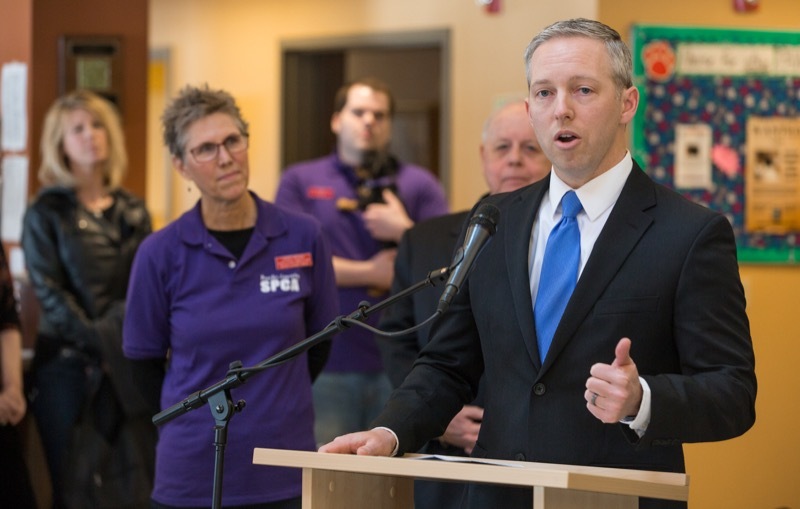 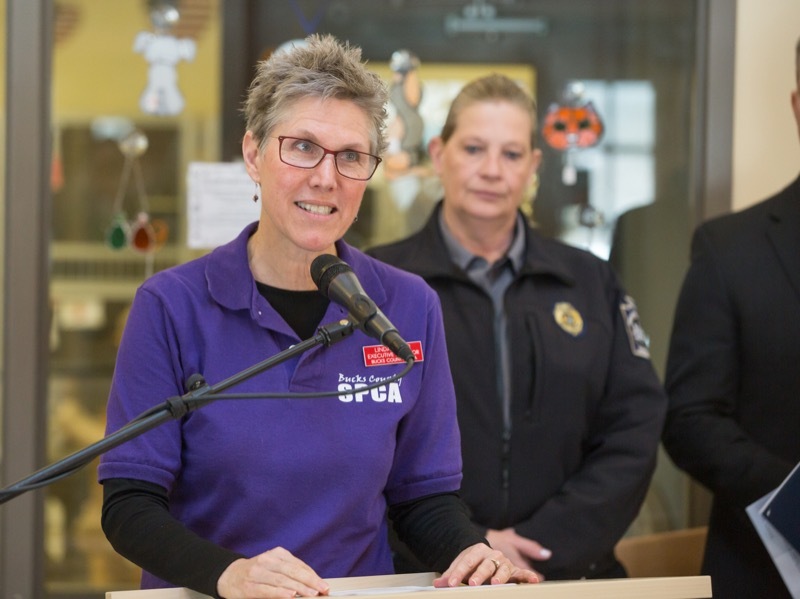 Department of Agriculture Executive Deputy Secretary Michael Smith today visited the Bucks County Upper Bucks SPCA to remind Pennsylvanians about the benefits of and need to license their dogs. 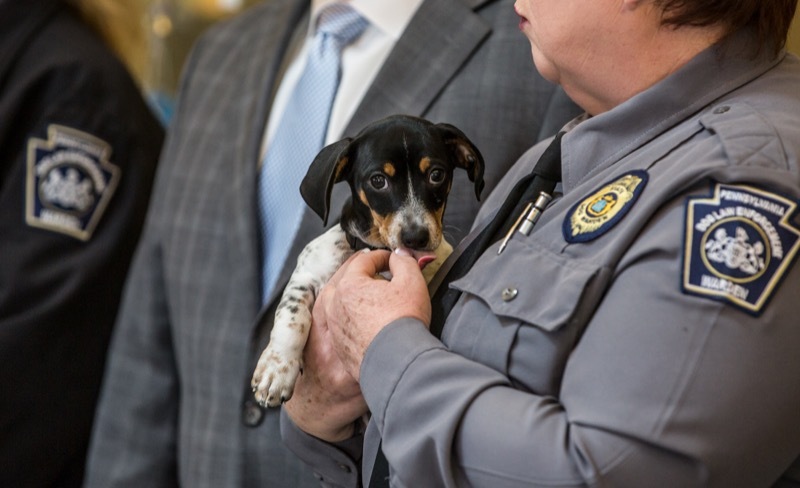 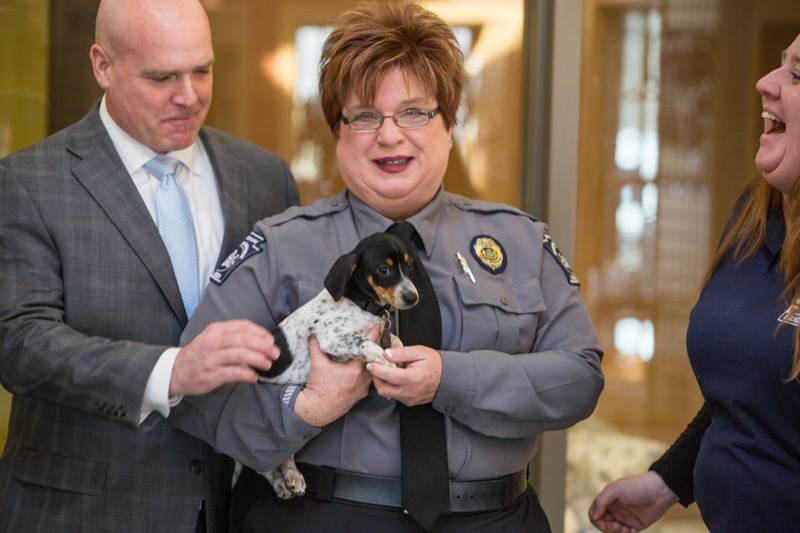 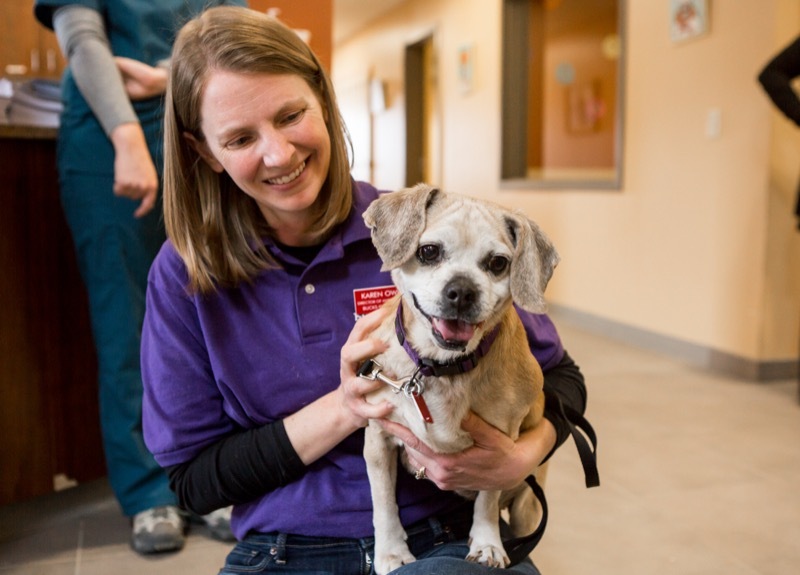 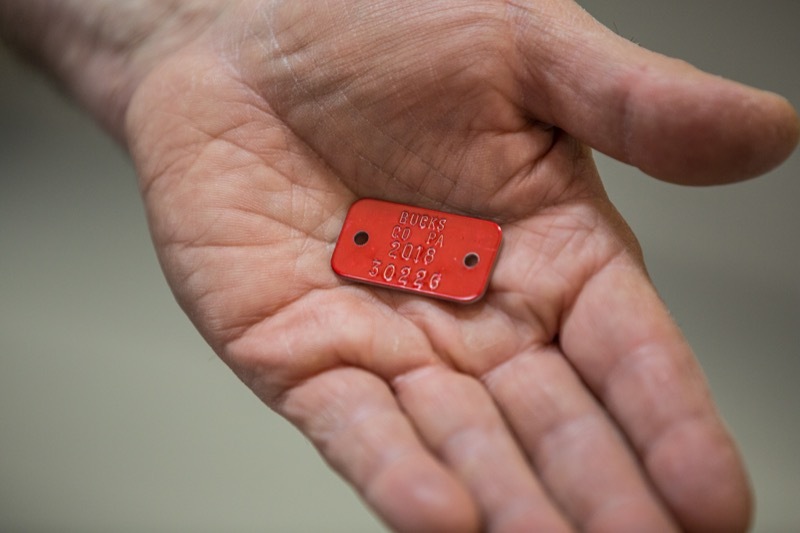 Having a dog license is not only the best way to bring home a lost pet more quickly, but the proceeds of dog license sales also ensure dogs and the public are kept safe. 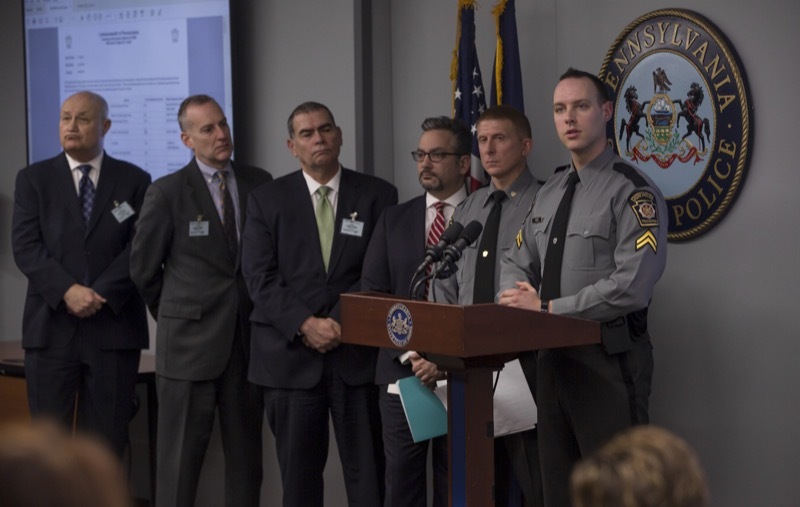 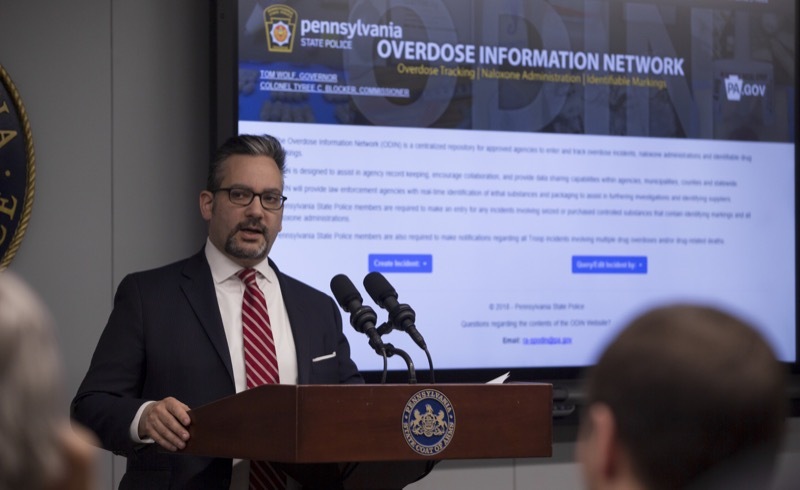 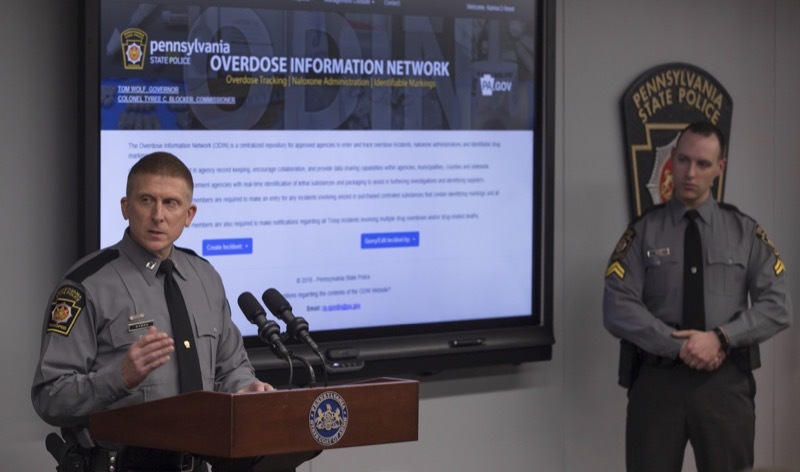 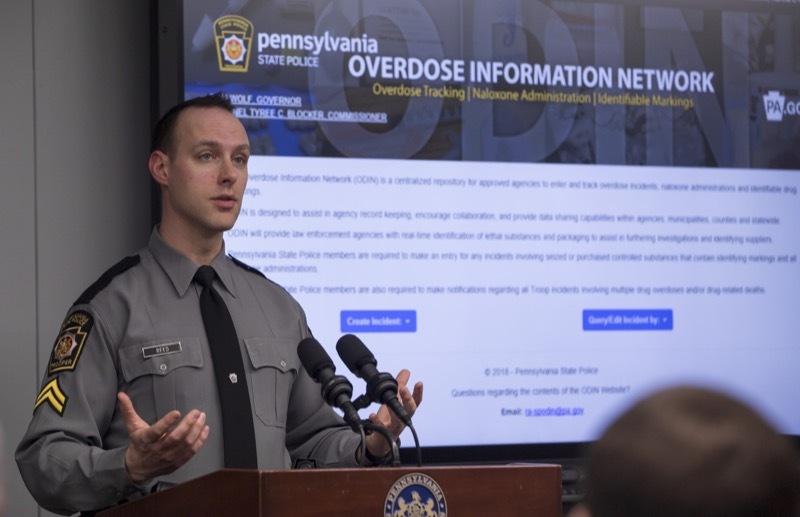 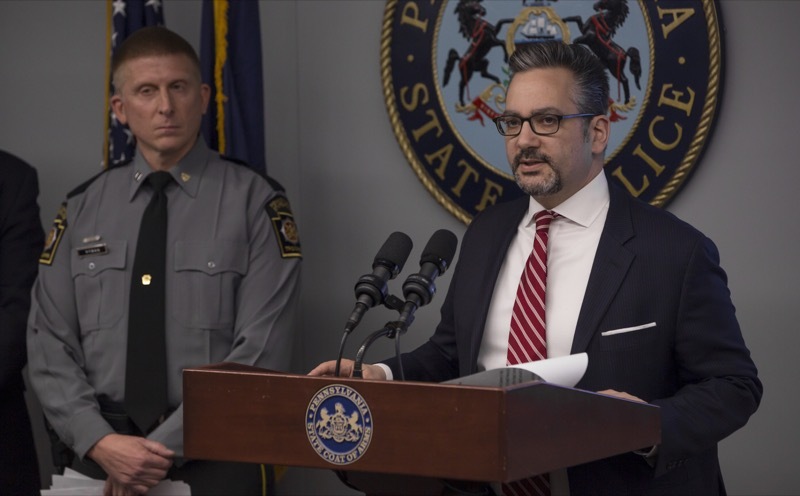 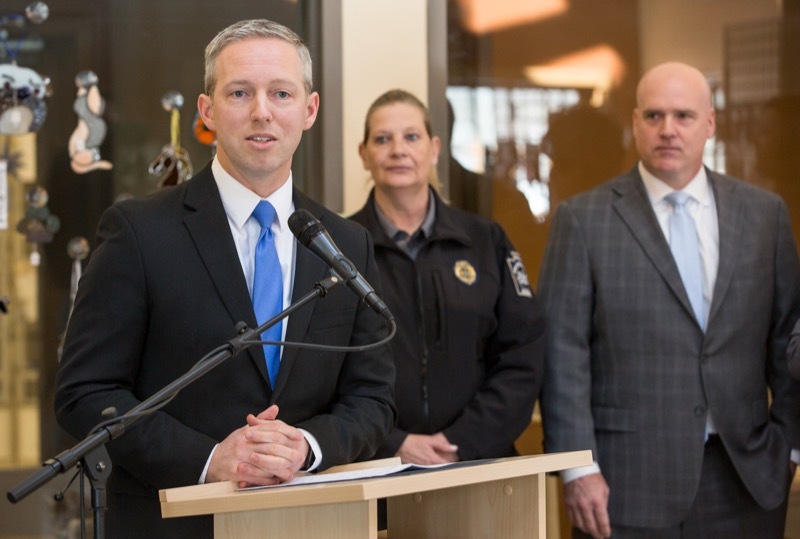 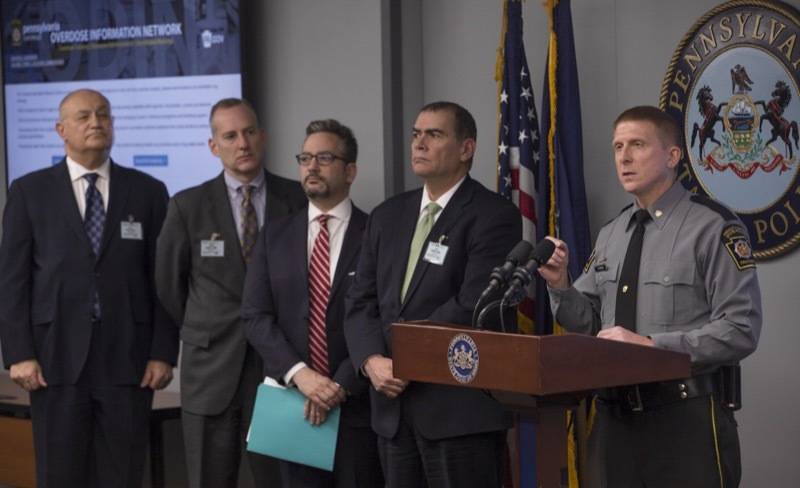 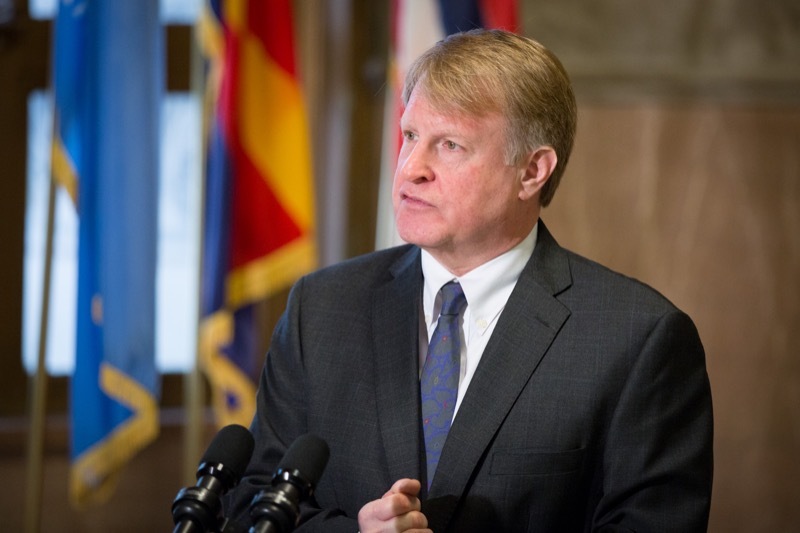 Wolf Administration officials held a press conference today to unveil the latest effort to combat the opioid epidemic in response to the disaster declaration Governor Tom Wolf declared on January 10. 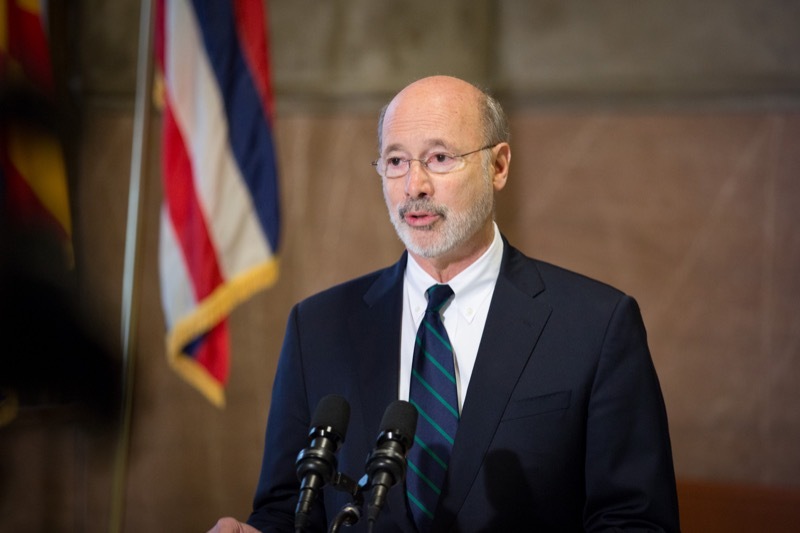 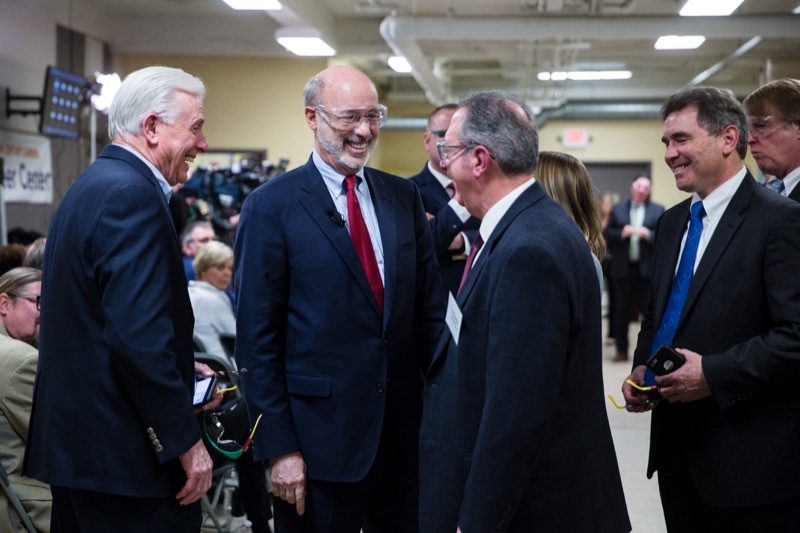 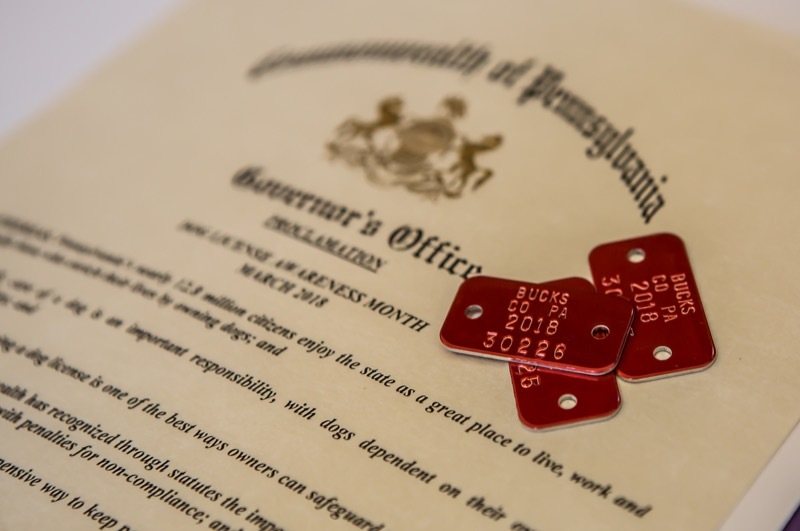 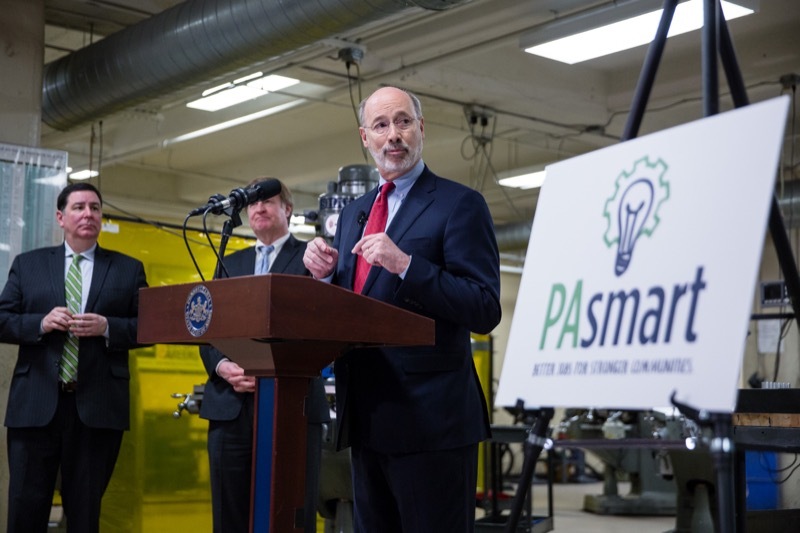 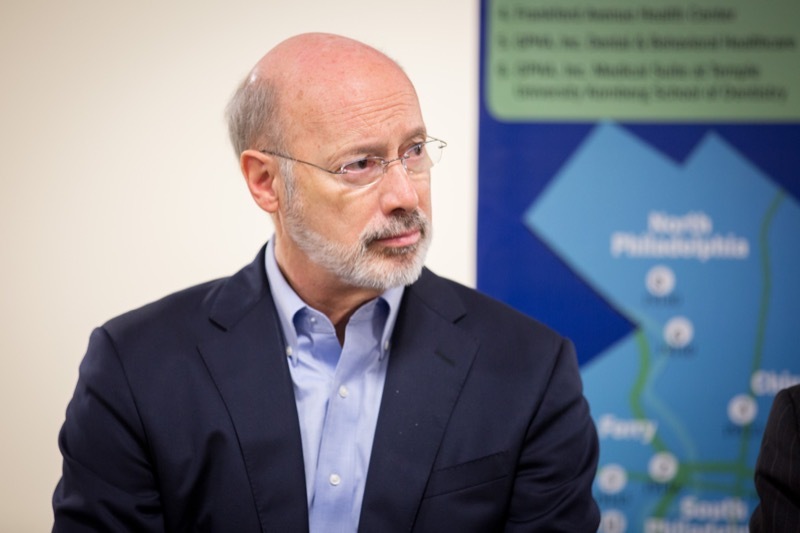 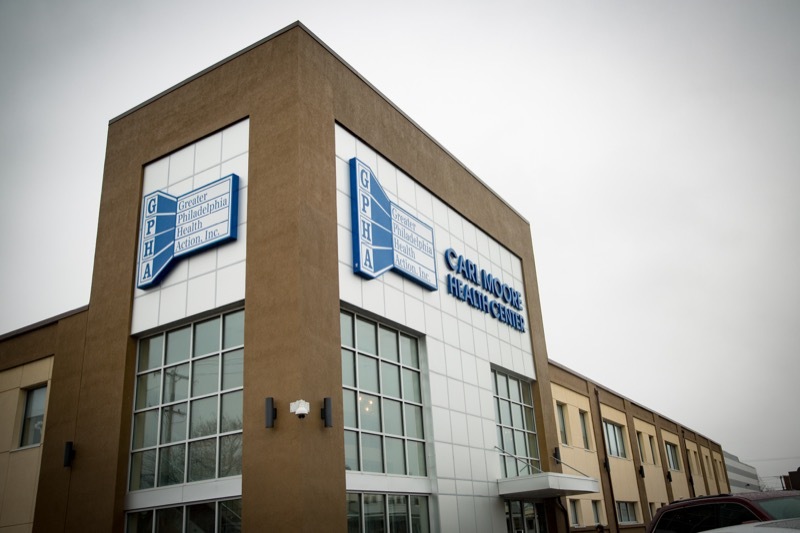 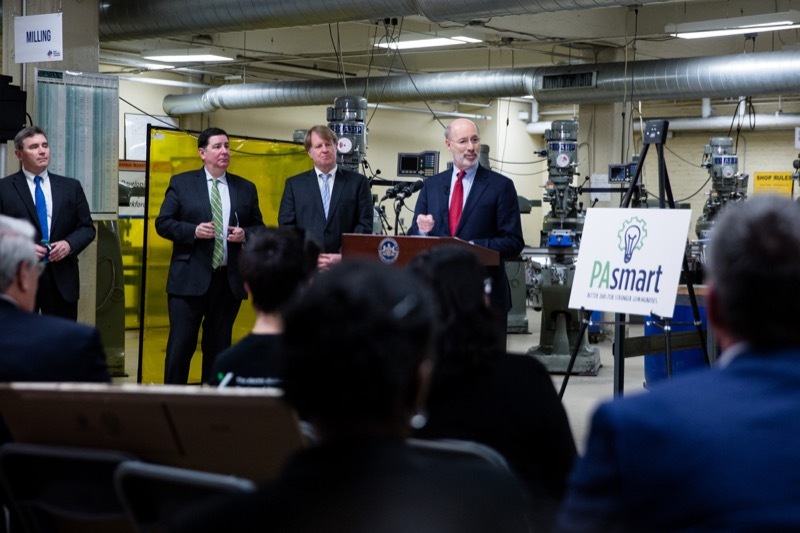 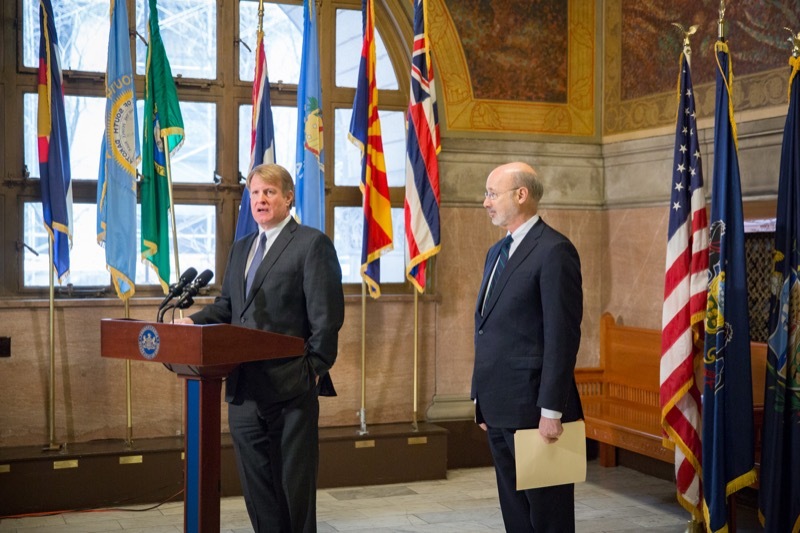 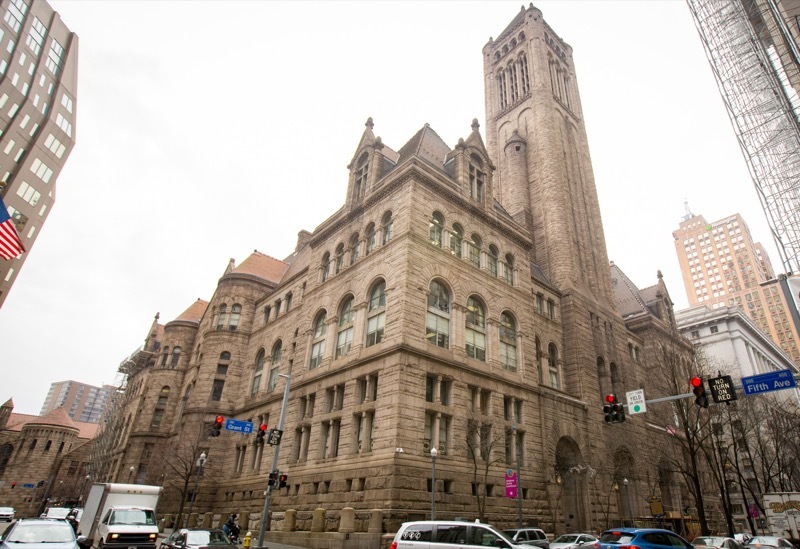 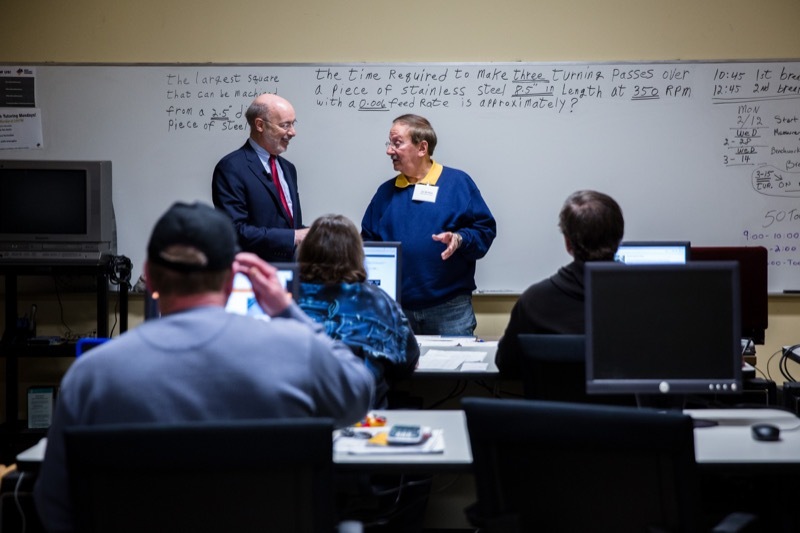 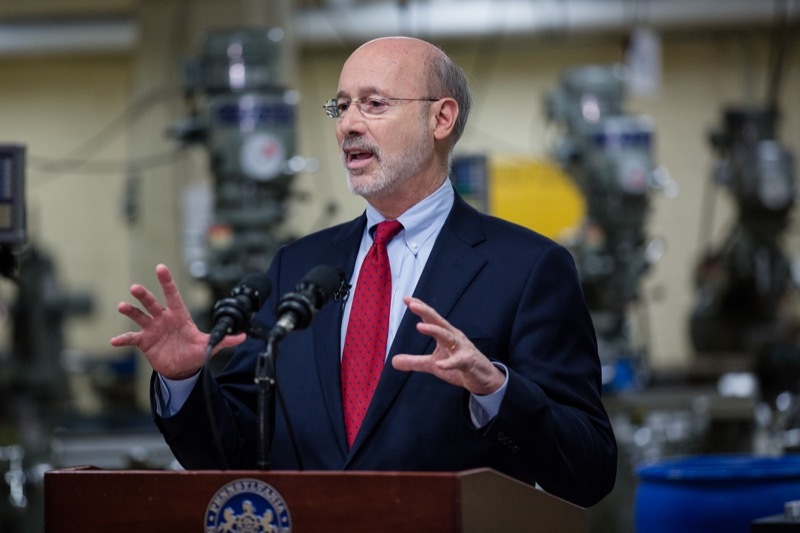 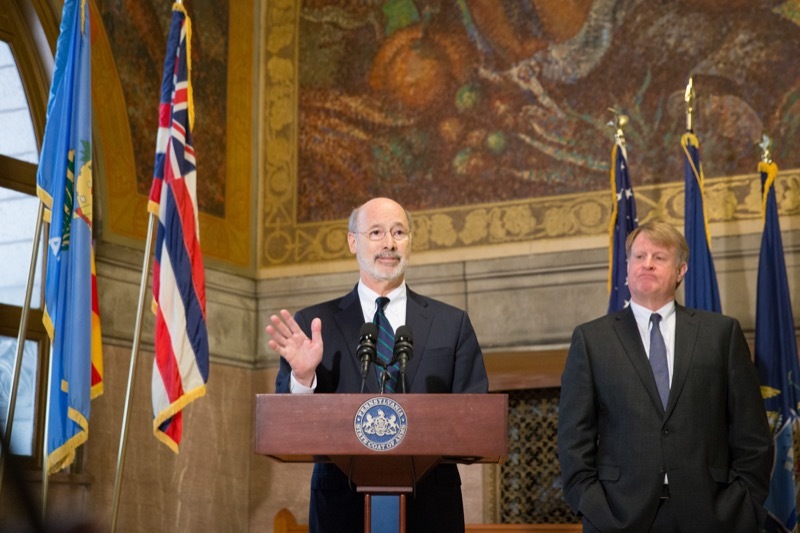 Today, Governor Tom Wolf outlined his plans for PAsmart - a new workforce development initiative that helps connect Pennsylvanians with resources for working and training in Pennsylvania. 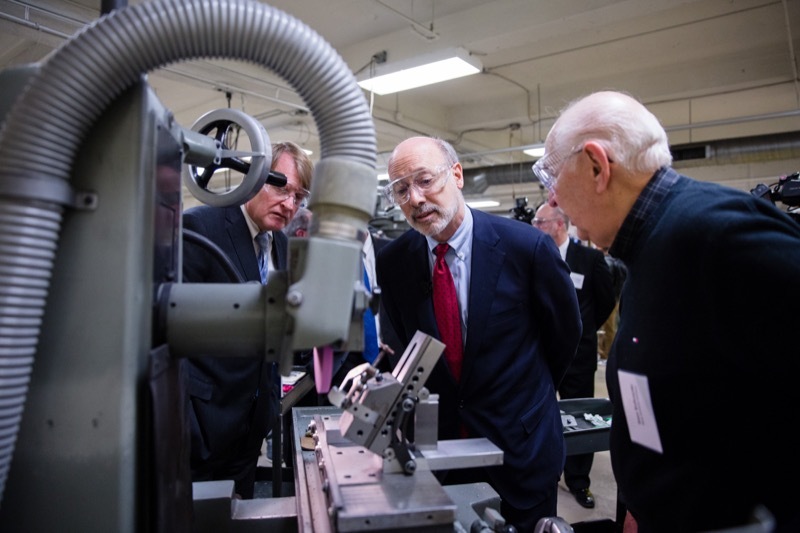 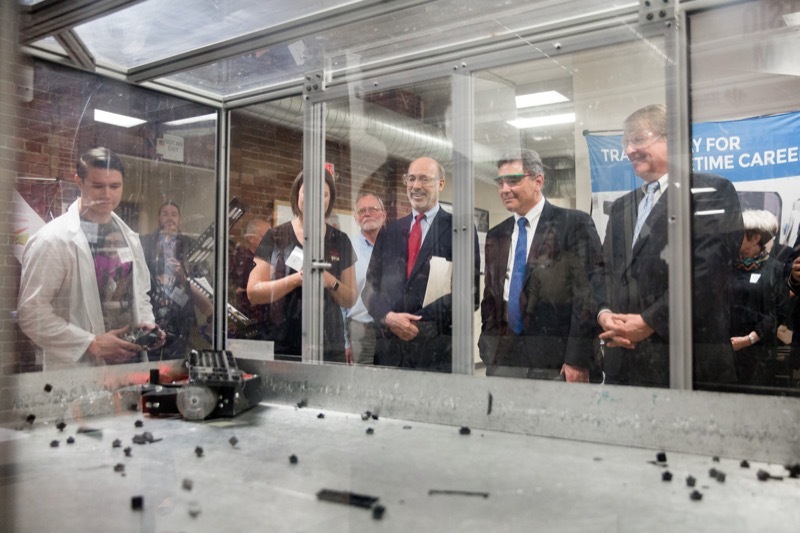 The governor made the announcement during a tour of New Century Careers, a Southwestern Pennsylvania workforce development organization. 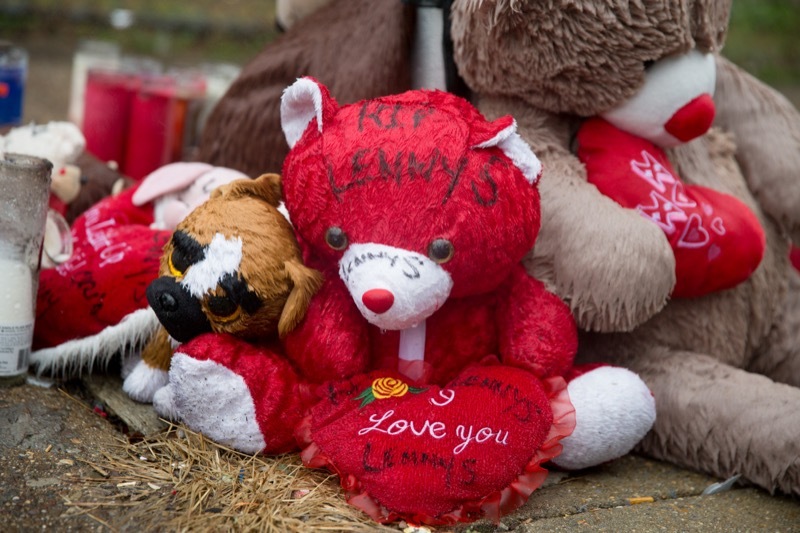 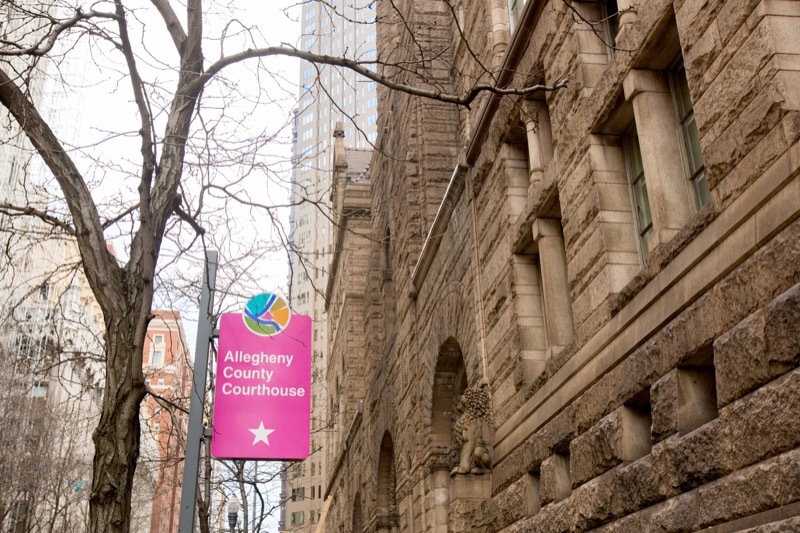 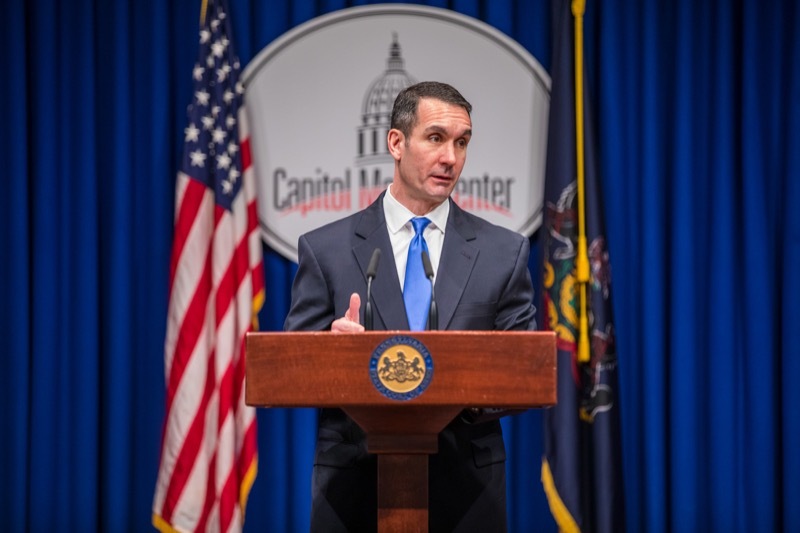 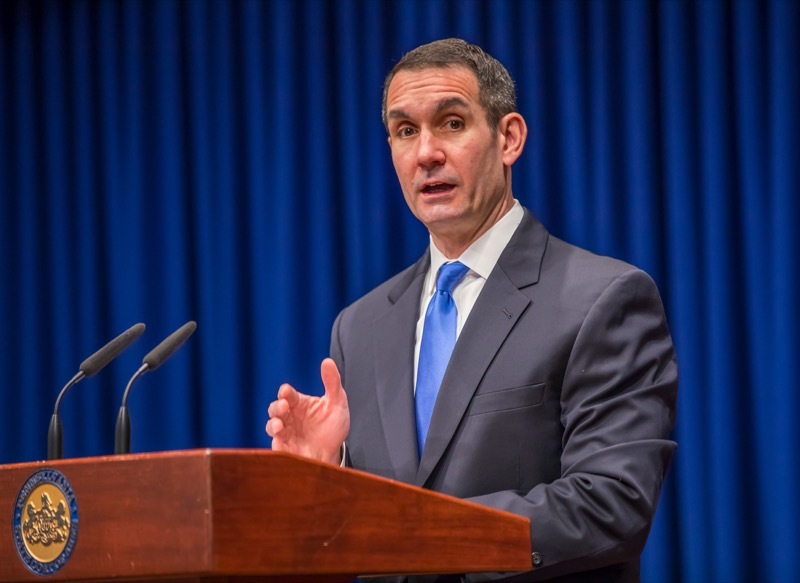 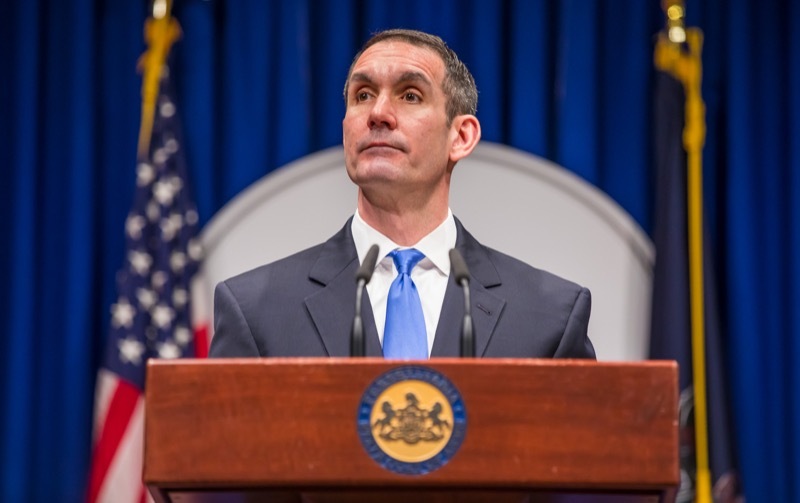 Auditor General Eugene DePasquale today said he will make significant changes to how his department reviews safety at Pennsylvania's schools. 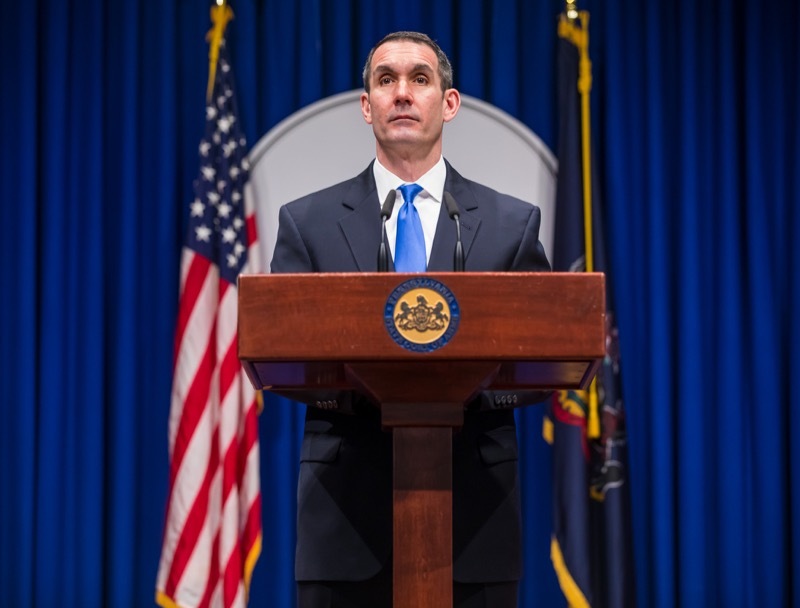 Corrections Secretary John Wetzel delivers remarks at the memorial service for Corrections Sgt. 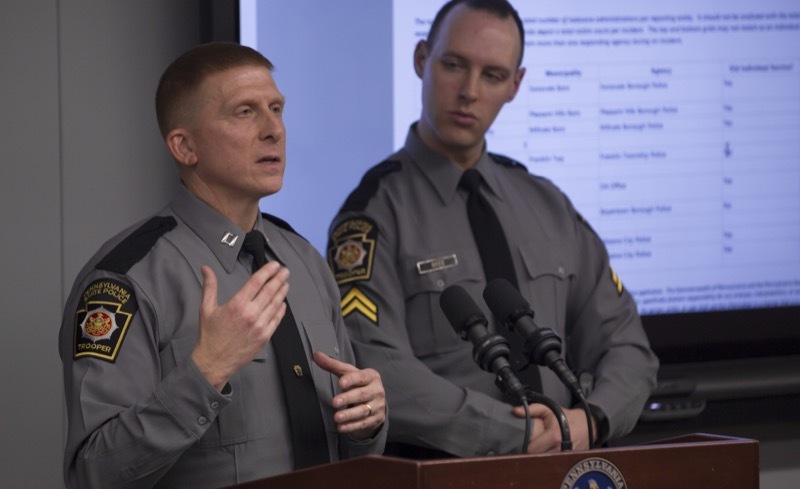 Mark Baserman, who was fatally injured as a result of an attack by an inmate at SCI Somerset last month. 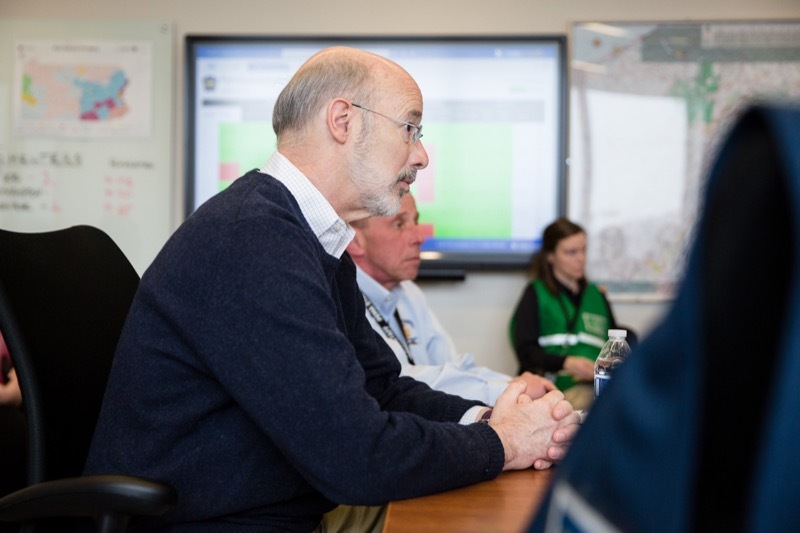 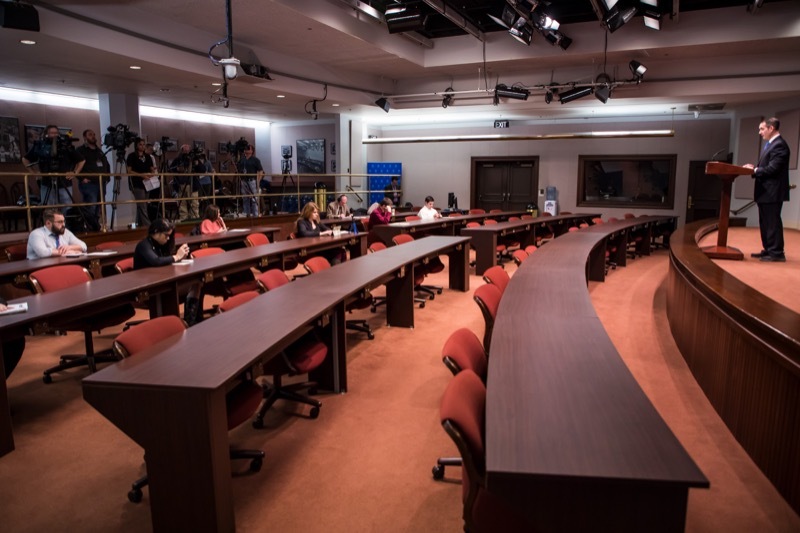 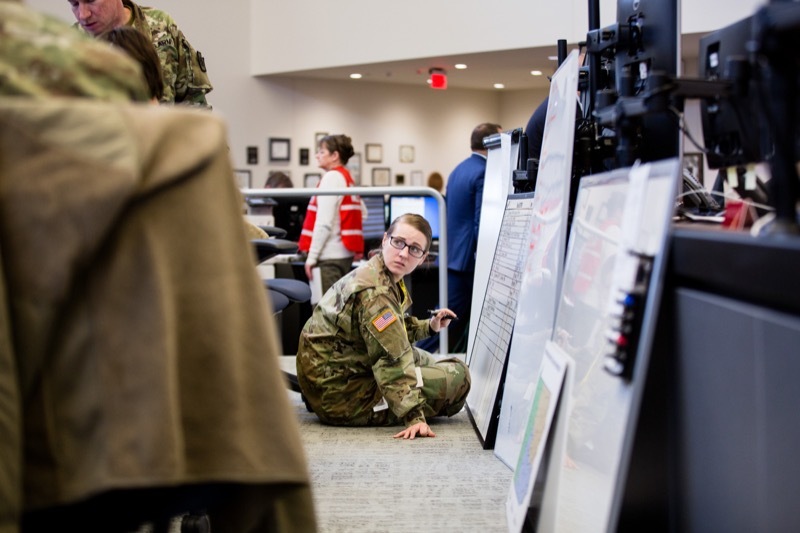 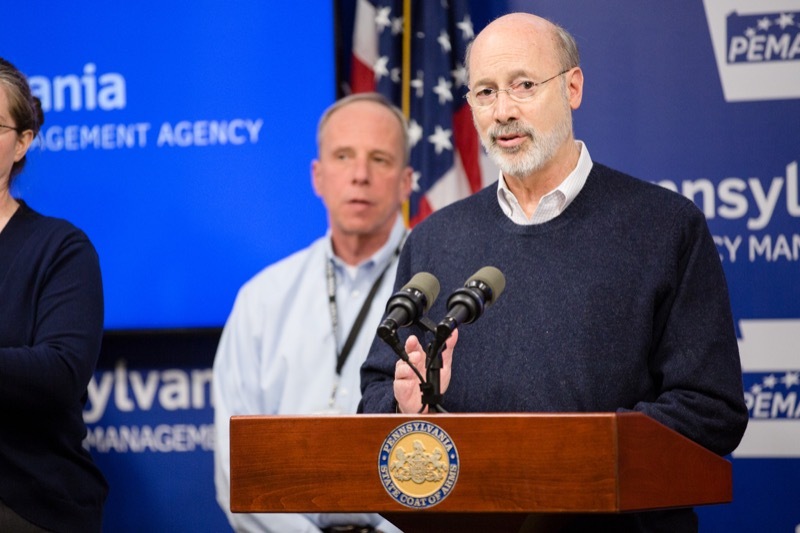 Governor Tom Wolf and Pennsylvania Emergency Management Agency Director Rick Flinn will provide an update on the winter storm currently affecting much of central and eastern Pennsylvania. 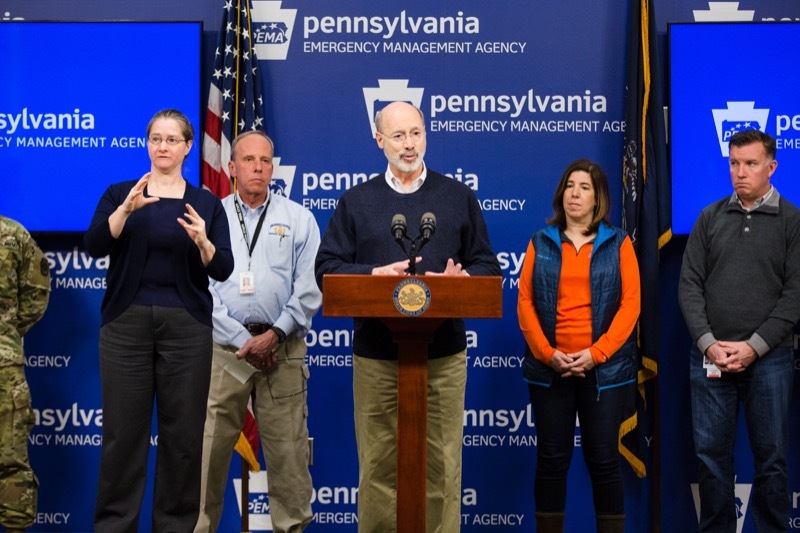 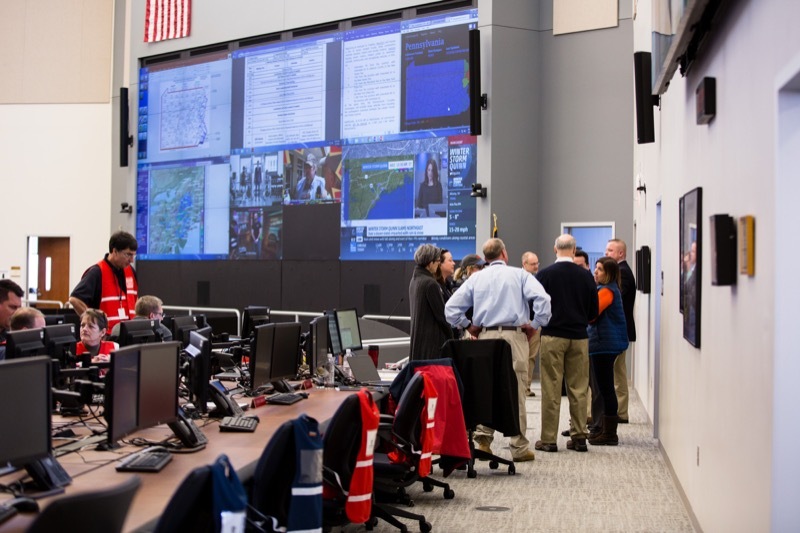 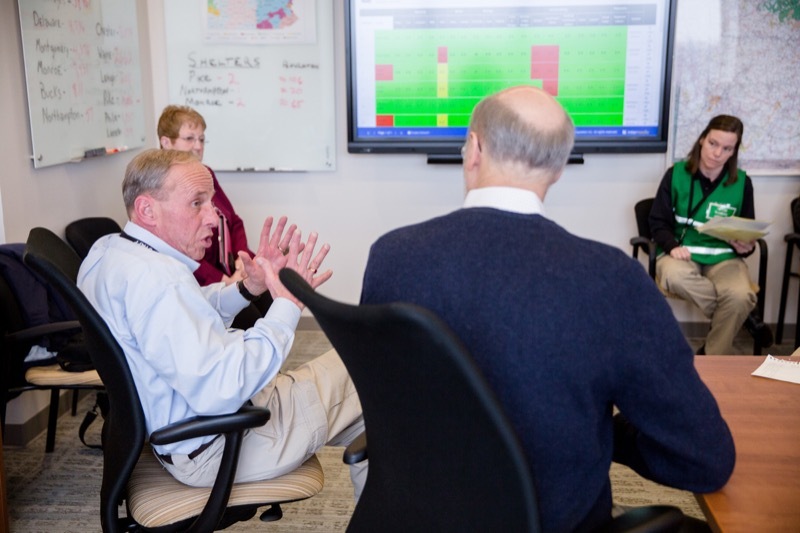 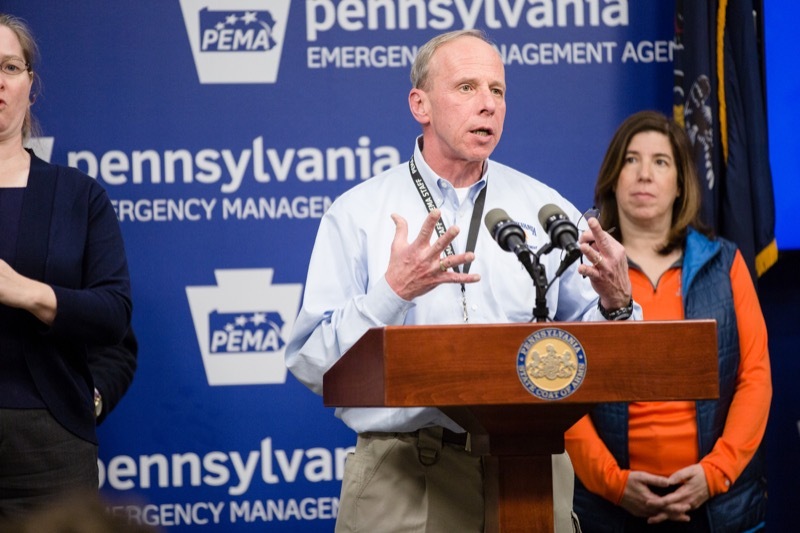 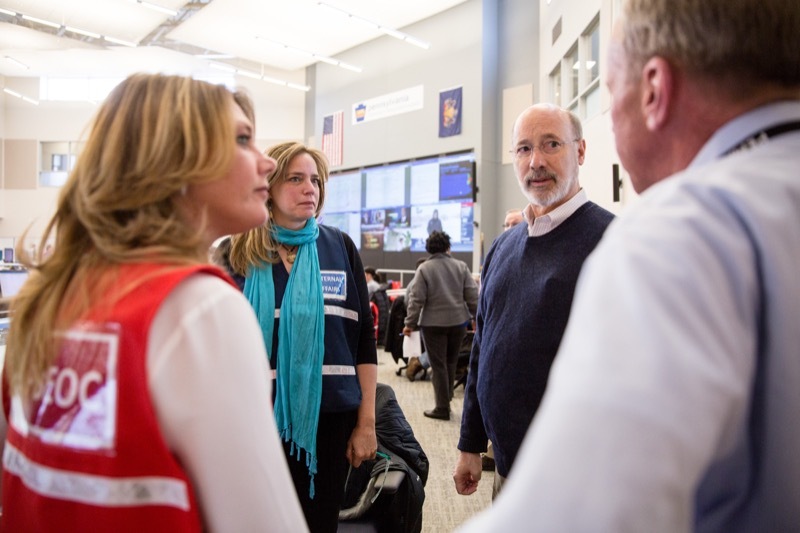 Governor Tom Wolf and Pennsylvania Emergency Management Agency Director Rick Flinn provide an update on the winter storm currently affecting much of central and eastern Pennsylvania. 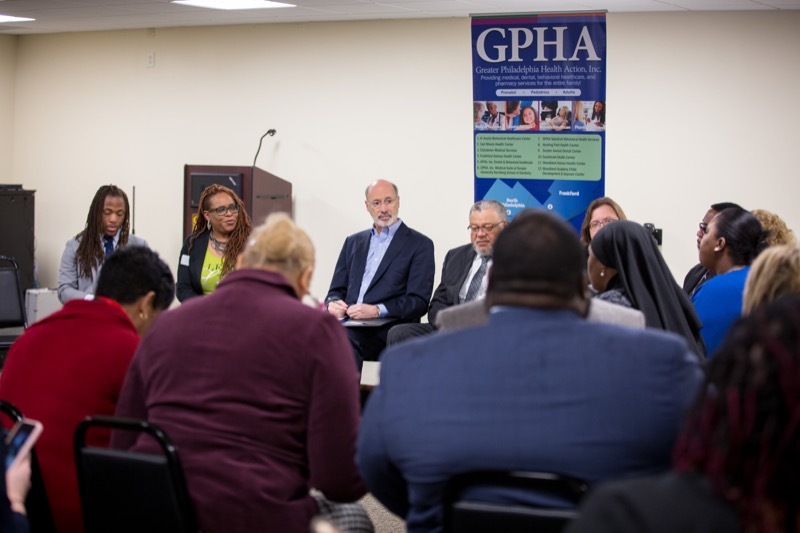 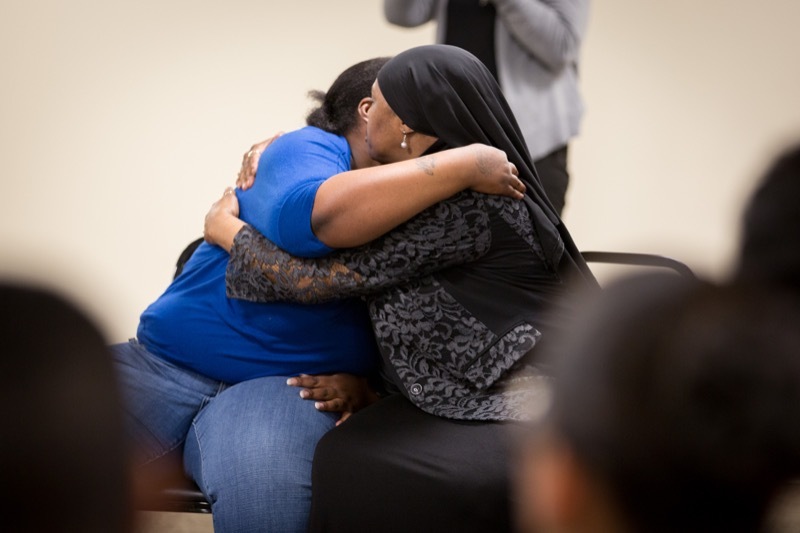 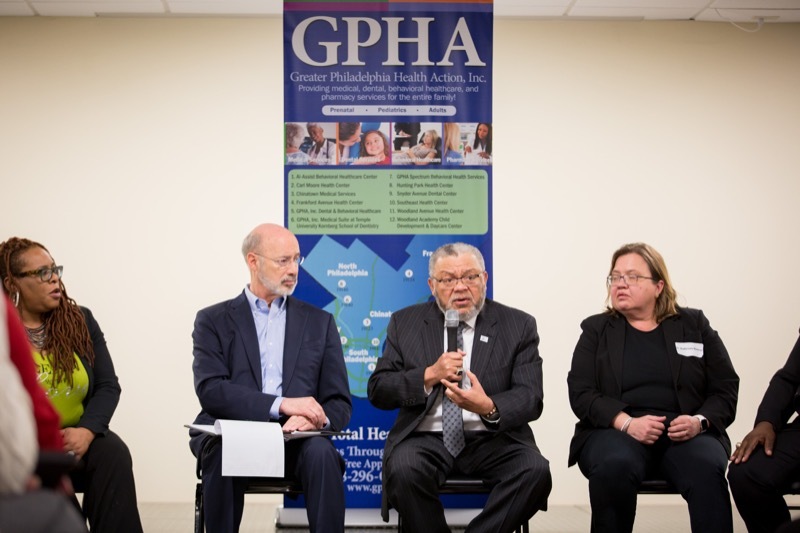 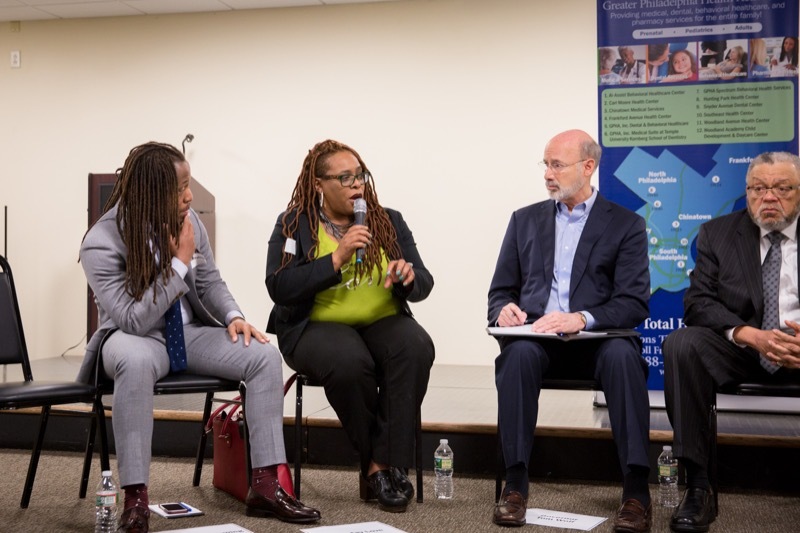 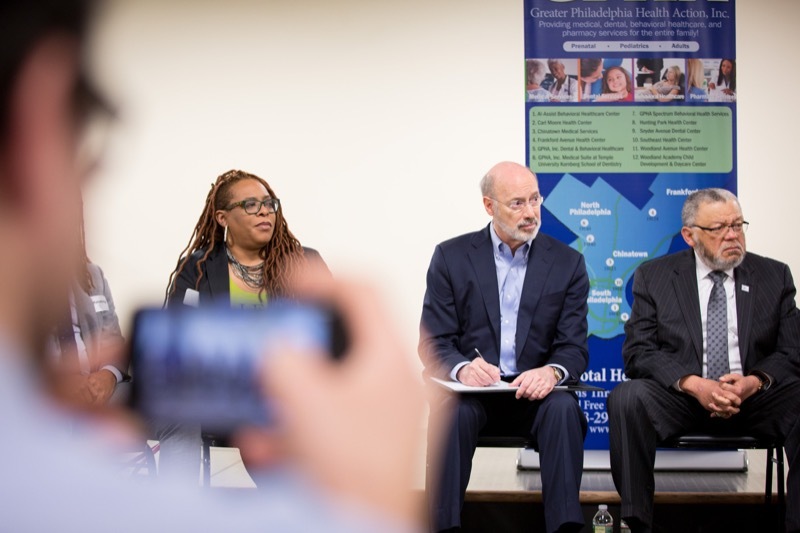 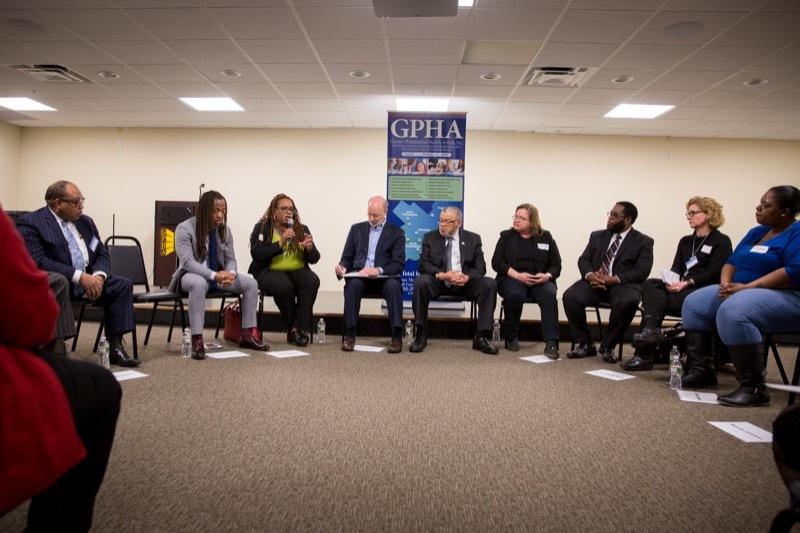 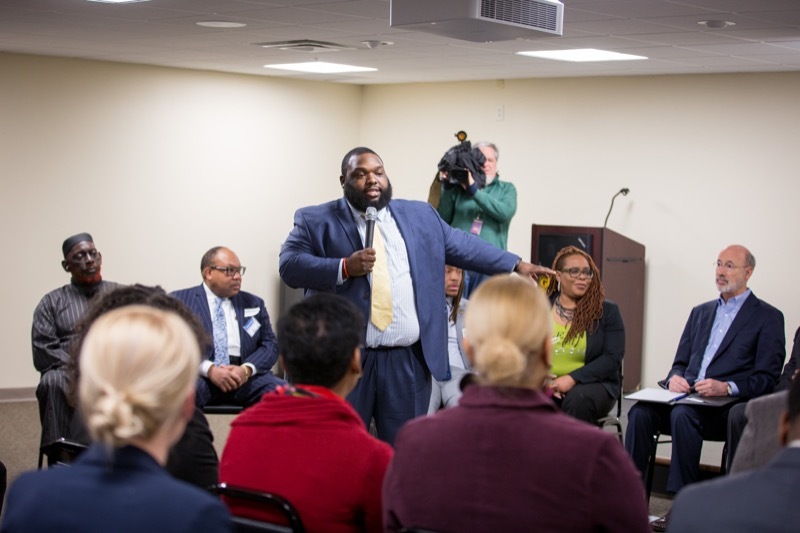 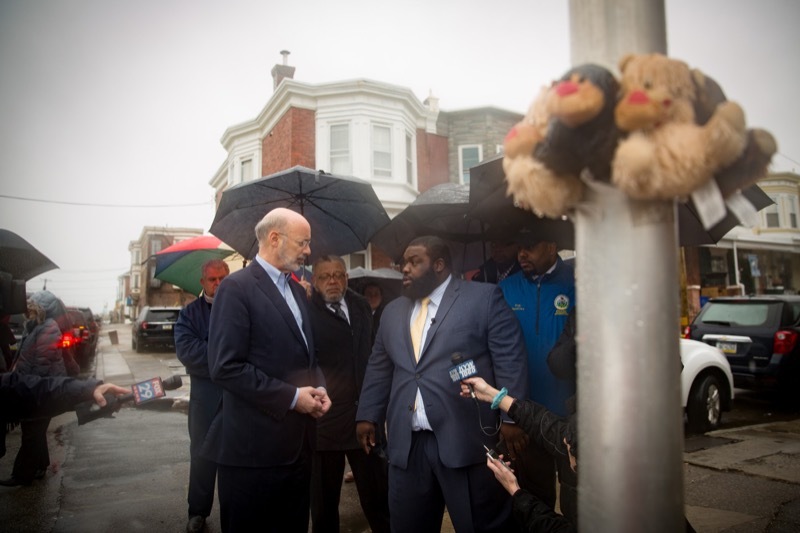 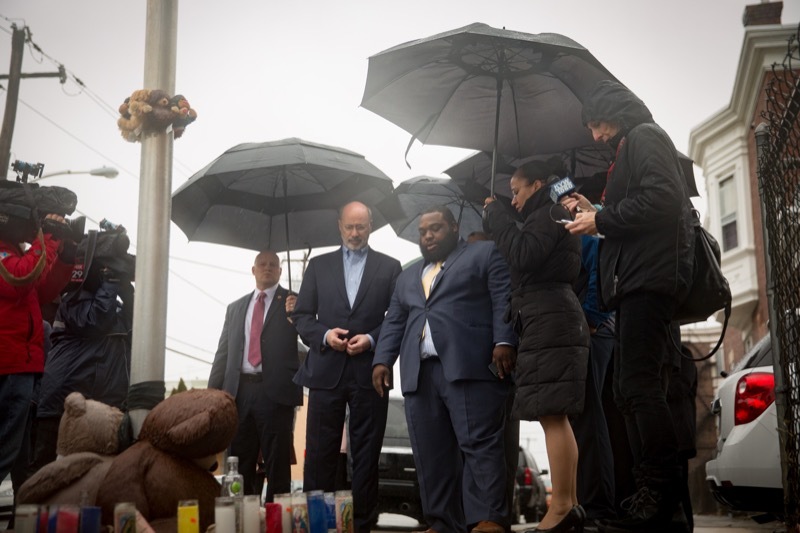 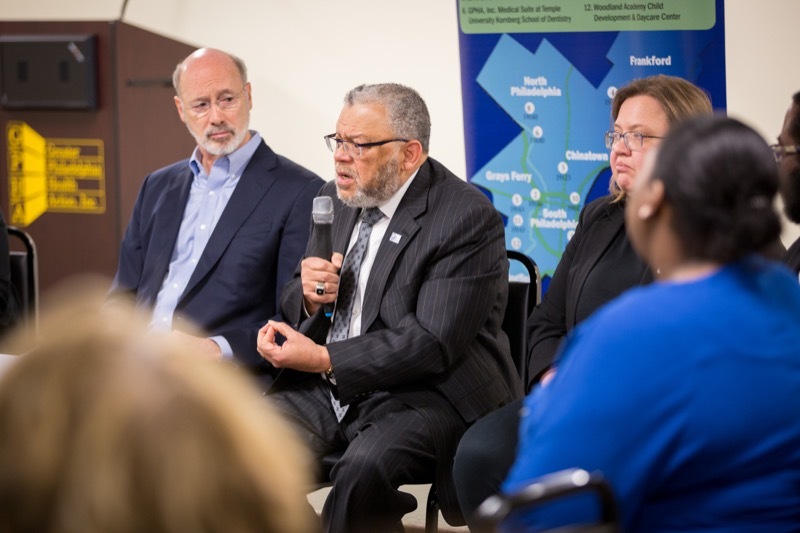 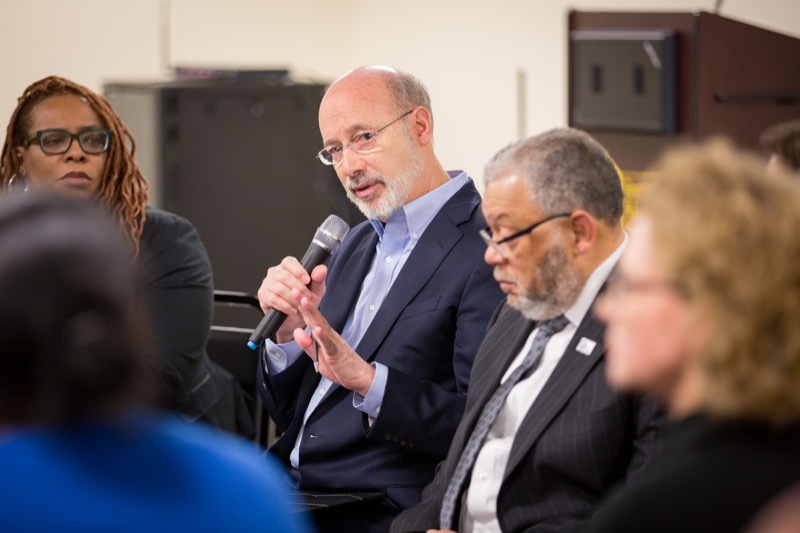 Governor Tom Wolf today joined Representative Jordan Harris, Pennsylvania Commission on Crime and Delinquency Chairman Charles Ramsey, and additional state and local leaders for a listening session on gun violence in Philadelphia.